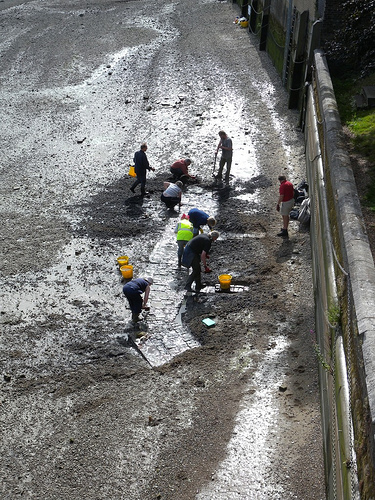 Thames Discovery Programme - FROG Fieldwork 2010! 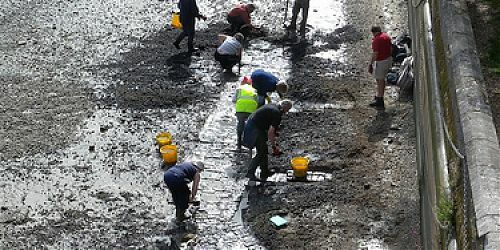 This year, the summer season of fieldwork is generously supported by an English Heritage London Region Regional Capacity Building Grant. Through the Regional Capacity Building Grant, English Heritage supports projects that encourage greater access to the heritage to those traditionally left out of cultural activities; projects that build up the capacity and commitment of local communities to champion the conservation and enhancement of their own local historic environments; projects that promote best-practice standards and skills for the conservation, documentation, interpretation and sustainable enjoyment of the resources of England’s historic environment; projects directed towards meeting regional based information needs. We are very grateful to English Heritage for this support! Want to Hone your Recording Skills?? If you are a fully-trained FROG member, please join us! These sessions are open to any FROG member who has completed Days 1 and 2 of training; please email me to book or call Eliott on 07917 758 818.